Hello...hello so happy its almost the release day, Friday. I hope you guys like what you see so far at the Winnie & Walter Release Previews. 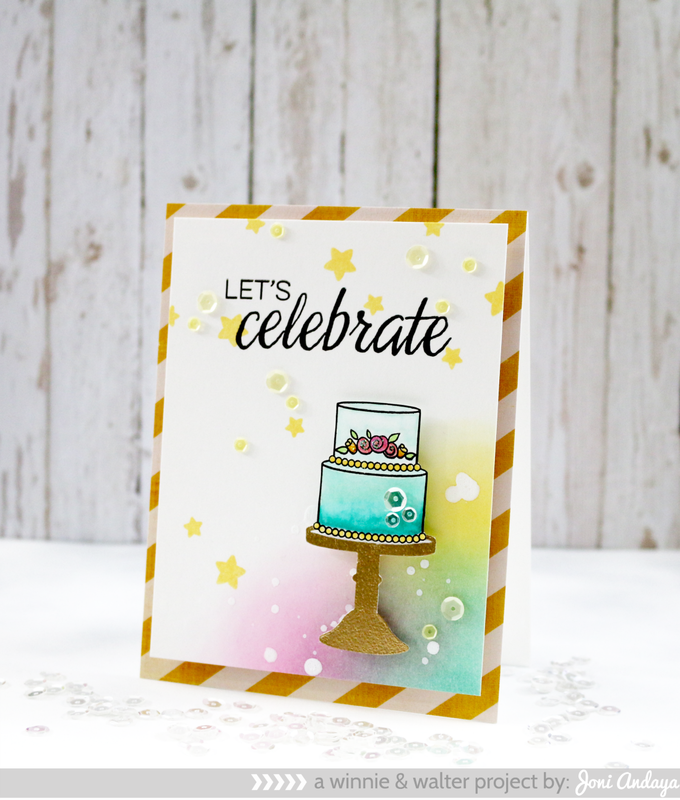 For today Winnie &Walter are showcasing Sugar Rush and Sparkle stamp set. 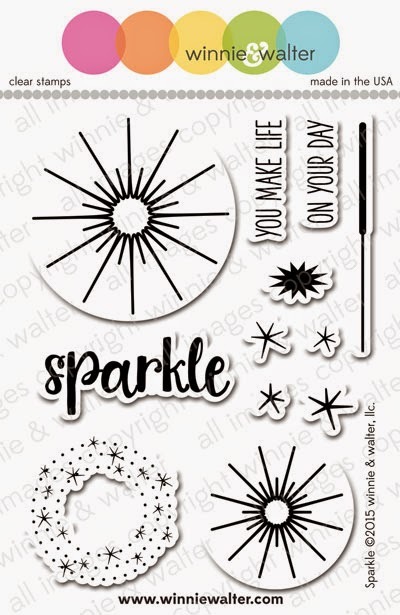 The Sparkle stamp set will be available as a free stamp with a qualifying purchase. To begin my card I adhered the striped patterned paper on the card base and cut my another panel smaller than the A2 card base. 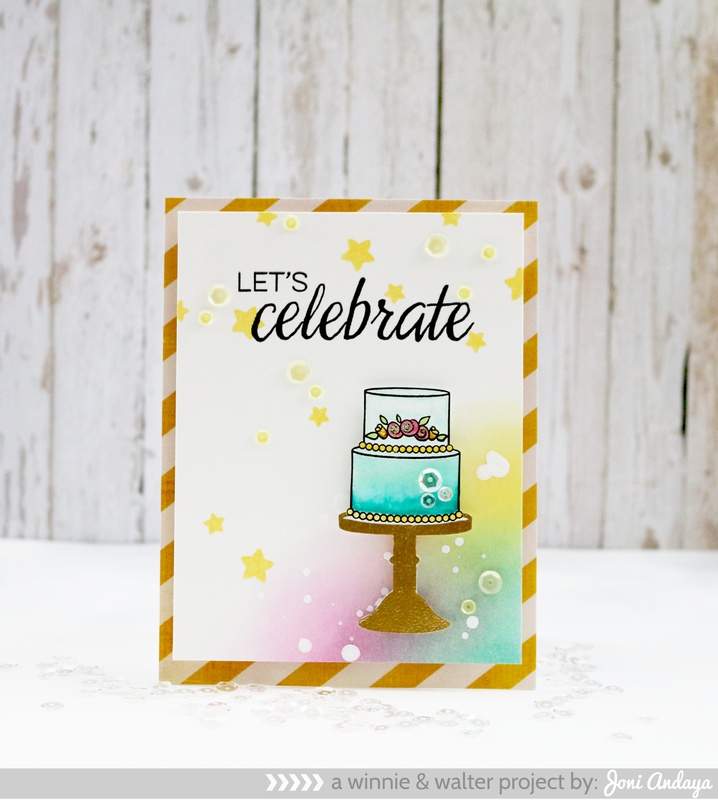 The panel on the bottom right corner is distress with Distress inks and stamped with small puff stars from the Sugar Rush stamp set. I also added some white Studio Calico Spray Mist in white at the bottom of the panel for added touch. For the two tier cake I added the flowers from the same set and colored the whole cake with copics in aqua color. The cake stand is fussy cut and gold embossed and adhered with the cake. I also added some sequins on the cake from Pretty Pink Posh in Sparkling Clear. WOW, your card is so gorgeous and elegant. I love that stamp set. Wow how beautiful! Totally loving that background! 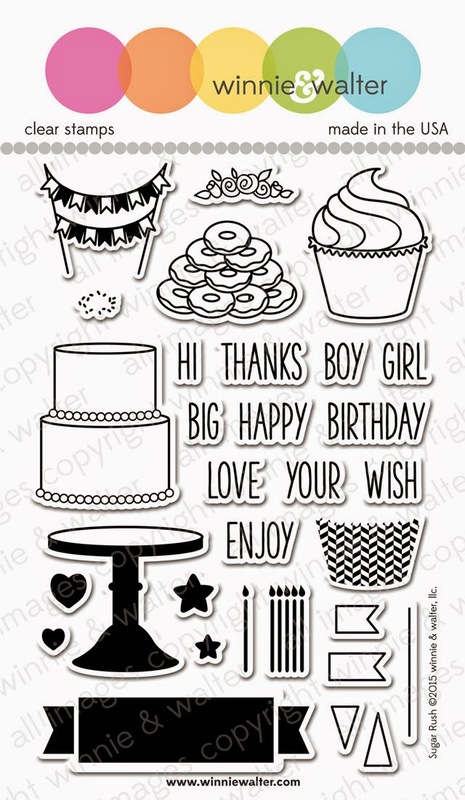 Oh my goodness Joni that cake and the inking behind it are just beautiful!! Another of your beautiful cards,love it!! Love love love that cake! Gorgeous!!!!!! That cake is a dream in aqua.